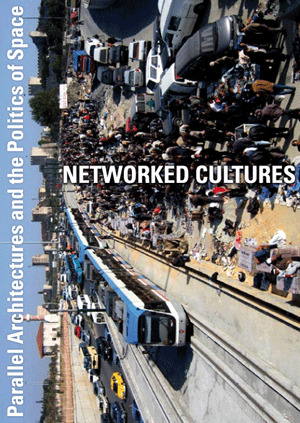 The presentation will include an interaction with off-site contributors to the Networked Cultures project through excerpts from the Networked Cultures documentary. Initiated in 2007, the Metropolis Laboratory and Metropolis Biennale in Copenhagen is already established as a focal point for a generation of international artists, researchers and practitioners involved with urbanism. Part think tank, part network and part project base, Metropolis Laboratory 2010 will be held at the former Carlsberg Breweries in the heart of Copenhagen. Itself a historic environment, the area is gradually being transformed by arts and cultural institutions – among others DANSEhallerne. Metropolis was initiated by Copenhagen International Theatre as the frame for a 10 year programme (2007-2017). The main theme of Metropolis is the urban condition as perceived, commentated, contested and developed in the realm of the arts. Metropolis is in particular looking at interdisciplinary initiatives which reflect an increasing engagement and relevance of the arts in the public realm – from community theatre, site specific work, arts, architectural collaborations and new media. Working in the arts in this complex and often turbulent environment, not only aesthetic but also urban, social and political issues are not only relevant but often agenda setting. New technologies change the nature of the understanding of the public realm and concepts of community. Urban planning and market mechanisms often collide with the notions of naturally evolving and diverse but balanced and vibrating urban environments. The acclaimed loss of “cityness” and of interaction and engagement with the city together with the threatening stereotypes of urban expansion of the past generations has created a vital forum where the future of the city must be rethought and retested. In this context the role of Metropolis is to replace “artworks” by “art that works”. Not becoming less “art” but becoming more relevant and putting the artist at the core of this change of practice which we see in many cities, where a more organic, complex, artistic and culturally based philosophy of urban change is being seen as a guiding principle. Metropolis Laboratory is organised as a professional forum with invited researchers and practitioners from the social sciences, the arts and architecture, alongside with producers, curators, community representatives, developers and local authorities.